Aligning, edge trimming, forming of the rolled hem with edging of the lead band, sewing with overlock stitch, plaiting. 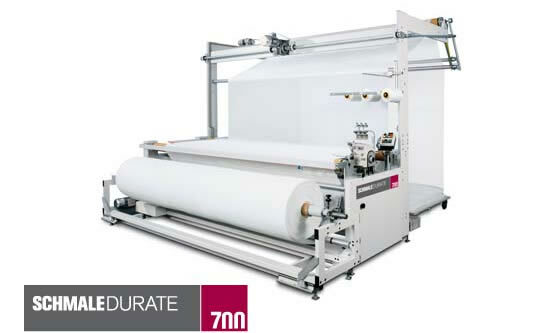 The SCHMALEDURATE 700 fully automatically processes your curtain webs or decoration fabric. Rapid and reliable.